It has just been announced that CyanogenMod 7, the popular aftermarket firmware for Android-powered smartphones, has reached its final version and has been released in the wild. For those of you that are not aware what CyanogenMod is, it is basically a modified Android distribution that has been developed by smartphone enthusiasts independently from Google. The custom firmware enables a number of advanced device settings to be tweaked and is also claimed to have better performance when compared to stock Android ROMs. Another advantage of CyanogenMod 7 is that it is built on top of Gingerbread and it can run on devices which would not usually get an update to Android's latest version. 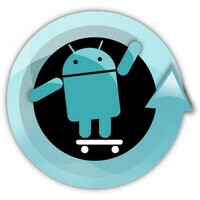 The latest version of CyanogenMod adds more than just neat screen-off and screen-on animations. Besides the features seen in its previous releases, CyanogenMod 7 will allow for applications to be launched while the screen is locked by performing given gestures with your finger. Furthermore, having Incognito mode on makes sure that none of your web browsing history remains stored on the smartphone, and OpenVPN adds support for establishing VPN (Virtual Private Network) connections. Check the official CyanogenMod web page (link included below) for a full list of features and improvements over the previous version of the mod. If you are new to CyanogenMod and willing to give it a try, be aware that installing it onto your smartphone involves rooting the device, which in certain circumstances might void your warranty. Make sure you check with the mod's official web page before doing anything that may potentially brick your phone. For more information, check the official CyanogenMod web page here. For an official list of supported devices, click here. I'm running it now on my Evo. It is way more stable than the previous release candidates that I was running. I love it!